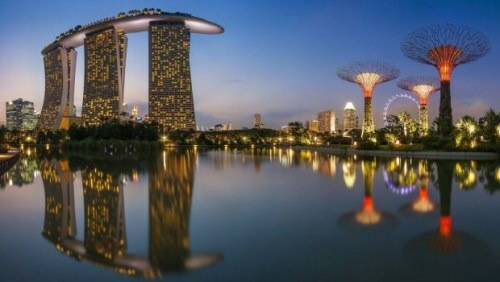 ANA (All Nippon Airways, a great airline) is possibly showing flights from Vancouver to Singapore for $568 CAD roundtrip including taxes. The flights have 1 stop in Tokyo, Japan each way. These could be a mistake, as only 1 online booking site is currently showing them (Gate1.ca). Although it certainly wouldn't be unprecedented for ANA to offer an amazing price drop to Asia through third party booking sites, while the same flights are over 3X as much on their own website. Update: Now that this deal has been around for a little while, I have heard from people who have booked these flights through Gate1.ca, and received their booking #, which they used to confirm their booking on the ANA website. And on some dates, there are a few other booking sites showing them in the low $600s CAD roundtrip. You are also able to find these from Victoria (YYJ) for a similar price, using the same dates. Jan 16 to Jan 30 -- new! vancouver, yvr, flight deals, asia, east asia, victoria, yyj, ana, all nippon airways, singapore and sin.